​How can we reconstruct climate history using tree ring and biomarker proxies? We often seek approaches that allow us to reconstruct climate or climate impacts on plants for times periods when we do not have observations or records. 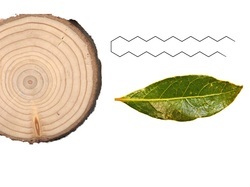 Stable isotope ratio analyses of preserved tree rings and of n-alkane leaf waxes provide the quantitative information we seek. 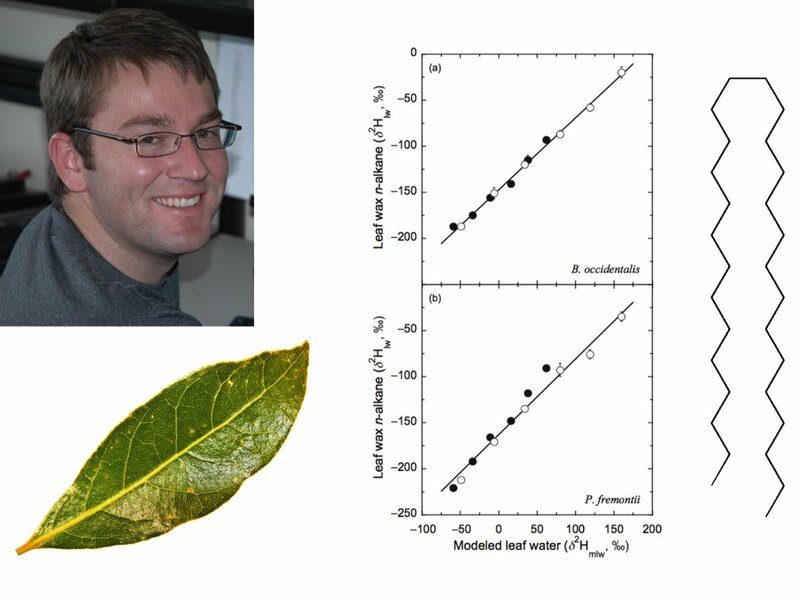 Brett Tipple's research has demonstrated that n-alkanes in leaf waxes record both a water source and humidity signal of the environment at the time that the leaf waxes were formed during leaf expansion. Such information is very useful to ecologists and biogeochemists interested in climate reconstruction, since n-alkanes are preserved in soils and lake sediments. 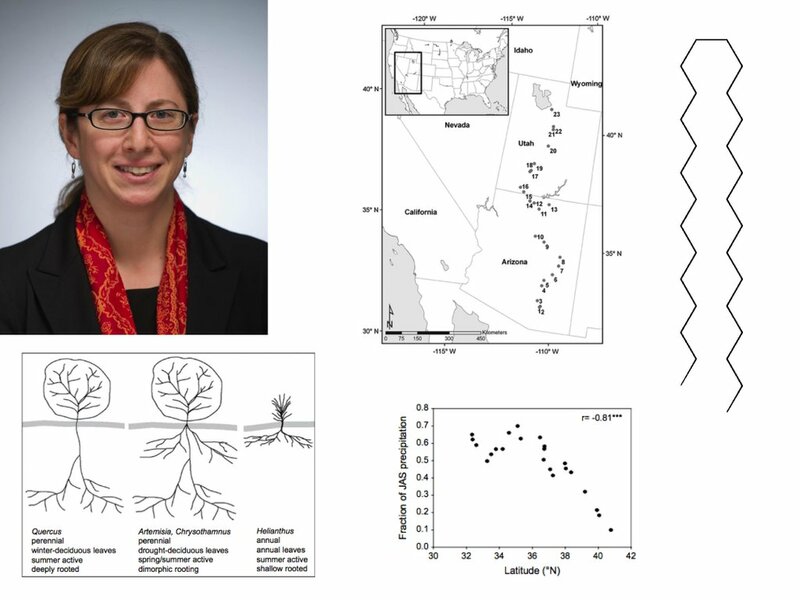 Melissa Berke's research showed that there were strong shifts in the stable isotope ratios of n-alkanes f plants along a monsoonal gradient from Arizona to Utah. Such records clearly indicate the extent and distribution of monsoonal moisture impacts on plant growth and survival.